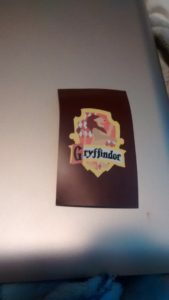 A unique magnet designed by the company of the Gryffindor crest. I particularly like that this has the red background to intensify the house colors. This magnet is paper thin and works beautifully as a magnet, or small poster. 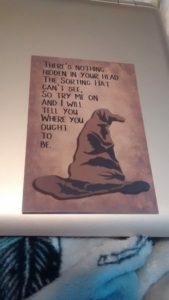 I put mine on the glass door of my bookcase as a small poster. 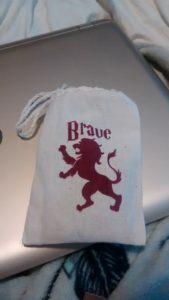 A custom Gryffindor bag that holds all of the jewelry included. 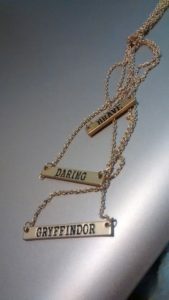 A three chain necklace that includes plaques that read “BRAVE”, “DARING”, and “GRYFFINDOR”. I particularly liked this necklace, but since it is a three-chain necklace it gets tangled up very easily and is hard to undo. A sword of Gryffindor that is wrapped to function as a ring. 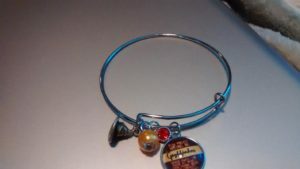 It is adjustable, and one of my favorite pieces from the box. 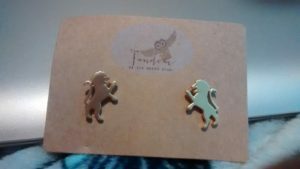 A pair of gold Gryffindor lion earrings. These studs are adorable, and are settle, but classy. Overall, this box was well worth the $16.98 paid. 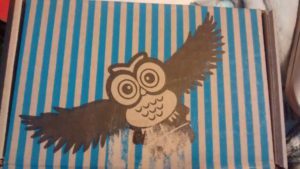 The pieces can’t be found elsewhere, and that makes this box one of a kind. You can purchase their limited edition boxes once in a while when they are released, or you can choose to subscribe to their box and receive jewelry from a different fandom each month. 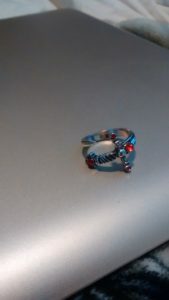 This box is perfect for those who love fandom themed jewelry, and for those on a budget.